Ocean Park, WA. – On March 9th at about 5:27 PM, a female caller reported to the Pacific County Communications Center that her ex-boyfriend had sent her electronic images of what appeared to be an explosive device that he had manufactured. Deputies with the Pacific County Sheriff’s Office were advised of the matter and made contact with the female caller. She provided deputies with the images that were sent to her of the suspected explosive device. Deputies viewed the images and they appeared to contain the various stages of the explosive device being constructed. The images showed what appeared to be the contents or materials used to pack into the device. Deputies noticed what appeared to be packets of gun powder, copper and lead bullets and pellets from a shotgun shell within the device. One of the images depicted the device being held in a hand which the female identified as belonging to her ex-boyfriend due to the jacket sleeve in the photo. The caller advised that she didn’t know why her ex-boyfriend had sent her the pictures, and that he had made no threats to use the device. She did state that her ex-boyfriend, whom she identified as Justice Webb, had been experiencing some depression and that he could be volatile. The images of the device were sent electronically to a member of the Washington State Patrol Explosives Unit which identified the device as appearing to be a viable explosive. The Sheriff’s Office requested that the WSP Explosives Unit respond to the residence to assist with the investigation and safe removal of the device if located. Deputies contacted and attempted to contact residents in the general area of the suspect residence to advise them of the situation in the event of an explosion. Deputies were able to detain Justice V. Webb, age 24, of Ocean Park regarding the incident. A search warrant for his residence, located in the 26200 block of Sandridge road, was prepared and granted. Deputies served the warrant upon the residence and discovered some of the same material used to construct the device that had been viewed in the images along with tools used. The device depicted in the images was not initially located. Webb was questioned about the incident further and he led deputies to a freshly dug spot in his back yard. He explained to deputies that he had buried the device. The WSP Explosives Unit excavated the device from the ground and safely analyzed it. The device did contain gun powder, pellets and bullets but however didn’t have a detonator. Webb stated that his intent was to create a device that would later detonate. He advised that he had buried the device because he had received a message from his ex-girlfriend that she had called the Sheriff’s Office on him. Webb was booked into the Pacific County Jail and currently has a bail of $ 20,000.00. As Sheriff of Pacific County Washington, it is my responsibility to protect the citizens of this county and to uphold the United States Constitution and the Washington State Constitution. There have been concerns brought forth in regards to Initiative 1639. These concerns will need to be addressed by the courts. A decision on the legality of the Initiative will need to be made. I have conferred with our Pacific County Prosecutor on this issue. The Pacific County Sheriff’s Office will continue to investigate all complaints we receive from our community members but until the legality of Initiative 1639 is resolved by the courts these Initiative matters will be documented only. 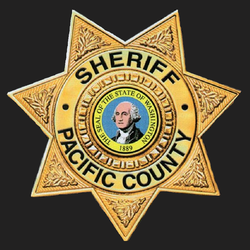 South Bend, Washington – Pacific County Communications provides media reports to media outlets and a 24 hour call log on the Pacific County Sheriff’s Office website. These reports are then published in local newspapers and online. Citizens of Pacific County then use these reports to make themselves aware of what types of emergencies are occurring in their neighborhoods. Pacific County Communications utilizes a Computer Aided Dispatch (CAD) system and Records Management System (RMS). This system is used in tracking calls for service, law records, jurisdictional information and geographic information systems (GIS) data that is associated with addresses. Within the CAD system, the GIS data had not been updated in several years and had become outdated. The media report and the 24 hour call log is derived from this system. November 12, 2018 Pacific County Communications conducted an upload of new GIS data. Immediately following the upload it was discovered that several problems had occurred. These problems included a lack of location information on the media report, a lack of location information on the 24 hour log and duplicate case numbers for law enforcement calls for service. These problems were identified and contact was made with the Pacific County Communications GIS Specialist, Systems Administrator and the CAD vendor. There are several ways to show your support. Send a note of thanks to your local, county or state police agency. Wear blue, turn your social media channels blue or shine a blue porch light to show your support. Or simply say thanks if you see us! National Law Enforcement Appreciation Day was founded in 2015 to thank officers across the country for all the daily sacrifices they make for their communities. Concerns of Police Survivors, the FBI National Academy Associates, the Fraternal Order of Police, the International Association of Chief of Police, the Officer Down Memorial Page, Law Enforcement United, the National Law Enforcement Officers Memorial Fund, International Conference of Police Chaplains, National Troopers Coalition only name a few of the long list of organizations supporting the inaugural day of National Law Enforcement Officers Appreciation Day. 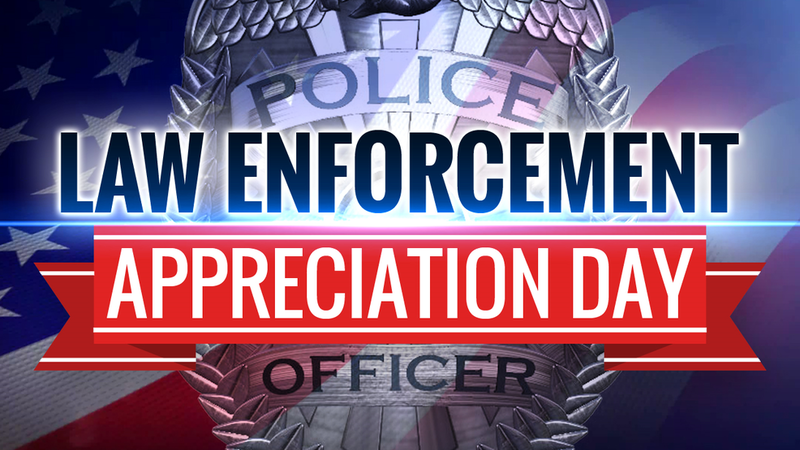 Since then, nationwide many more organizations have joined forces to support National Law Enforcement Appreciation Day (L.E.A.D.) to spread encouragement and respect to these dedicated men and women. On 10/19/18 at approximately 12:53pm, Pacific County 911 received a call from an unknown male. The male caller made a bomb threat to the Pacific County Courthouse. The Pacific County Sheriff’s Office is continuing to investigate and is seeking help from the public in identifying the caller. Please listen to the 911 audio below. If you have any information, please call the Pacific County Sheriff’s Office tip line at 360-875-2TIP (2847) or 360-642-2TIP (2847). South Bend, WA - On Tuesday the 18th during a brief awards ceremony, Sheriff Scott Johnson presented awards to four individuals for their quick and decisive actions that ultimately saved the lives of three people during three separate incidents within Pacific County. We are very proud of the efforts of these individuals. Below are brief descriptions of each event. On November 26th, 2017 Corrections Officer Britany Stigall and Long Beach Police Officer Mike Parker both acted quickly and decisively when they saved the life of an inmate that had attempted to hang himself in his cell at the Pacific County Jail. Officer Parker had been present at the jail as he had just booked the inmate into jail. The inmate had been placed into his assigned jail cell. A short time later, Officer Stigall did a visual inspection of the inmate and observed a white sheet fastened around the inmate’s neck. She responded to the cell along with Officer Parker. Officer Parker lifted the inmate up to relieve pressure from the sheet and Officer Stigall cut the sheet down. The inmate quickly revived after the pressure from the sheet was released and began to breath. The inmate survived due to the quick actions of the officers. On March 26th, 2018 Deputy Jesse Eastham was on patrol when he overheard a call over the radio regarding an unconscious adult male at a residence in the South Bend area. Deputy Eastham recognized the address and was nearby. Deputy Eastham arrived at the address before medical aid and immediately started lifesaving measures on the unconscious male. Deputy Eastham also gave lifesaving instructions to the reporting party to help assist him. Deputy Eastham assessed that the unconscious male had no pulse and also observed that the unconscious male may have been experiencing an overdose episode. Deputy Eastham returned to his patrol vehicle to obtain the drug Naloxone to administer upon the unconscious male. Soon after, medical aid arrived on scene and the drug was administered. The unconscious male became conscious and was transported to the hospital. He has made a full recovery. On May 19th, 2018 Deputy Rick Goodwin was on patrol in the Ocean Park area when he overheard a call over the radio regarding an adult male who had collapsed and was unconscious and not breathing. Deputy Goodwin was in the area and arrived at the incident’s address two minutes later. Deputy Goodwin assessed the situation and found no pulse and began CPR on the unconscious male. Deputy Goodwin continued CPR upon the victim until medical aid arrived and took over. The victim survived due to Deputy Goodwin’s actions.